Lone Leaf Gallery & Custom Framing - Lone Leaf Branches Out! 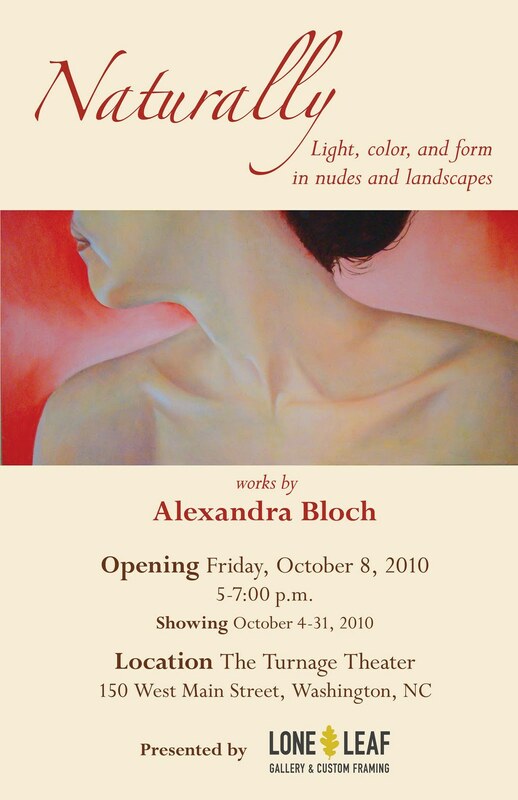 This month, we are presenting a new show by local artist, Alexandra Bloch, at the Historic Turnage Theater in downtown Washington, NC! There will be an opening reception on October 8th from 5-7 p.m. We hope to see you there!